My Latest Creations – What is Perfect? 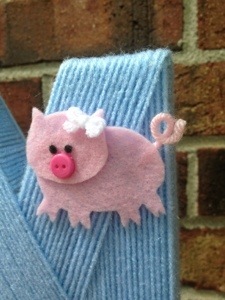 I’m excited to share my completed projects with you here! They were really fun to make! I am always so thankful and count it a privilege to create things for people. 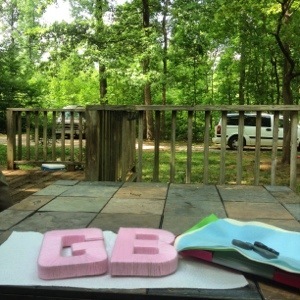 One order was for an aunt giving her new baby niece a gift for her nursery and another order was a set of bookends to decorate and bless a momma at her baby shower. These are big and meaningful events in life, and again, I am so thankful that my little creations can be a part of these fun moments! 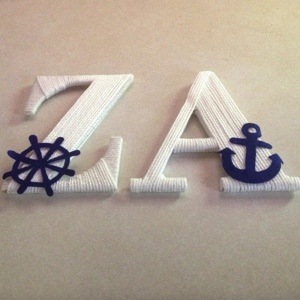 These are my nautical themed letters, and I LOVE them! They are wrapped with a nylon “rope” like material which is thicker than the normal yarn. Thicker wrapping material equals less time to wrap and make! The white with blue just scream “put me in a beach house somewhere!” I love these, I love making these, I just love these! 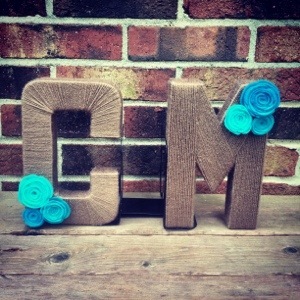 This set of bookends turned out so pretty! Though in this picture the pretty brown color gets lost in the bricks and wood it’s sitting on. Just believe me, the dark brown with different shades of turquoise was absolutely stunning! I love the way they turned out! This is the set for a new baby niece. Precious!! The “R” is a tricky letter to wrap, but overall I am really happy with how it turned out. 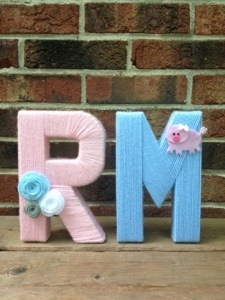 I love the sweet colors for this order and think it will be so cute in the nursery! Sadly, I didn’t get a completely finished picture (they are missing the bookends and not staged as well as I normally like to do), but you can get the idea from this picture. I love these colors together! 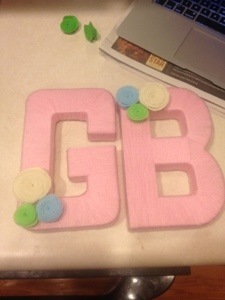 They are almost exactly the colors for the nursery of a coming little baby girl, so I hope that they are just perfect! I’m so happy with this set! So there you have it! All the cuteness that has been taking up my extra time lately. I would love to know what you think, so feel free to let me know in the comments. Have a wonderful evening friends!